24K have dropped a release schedule for their first comeback since 'MIXNINE'. 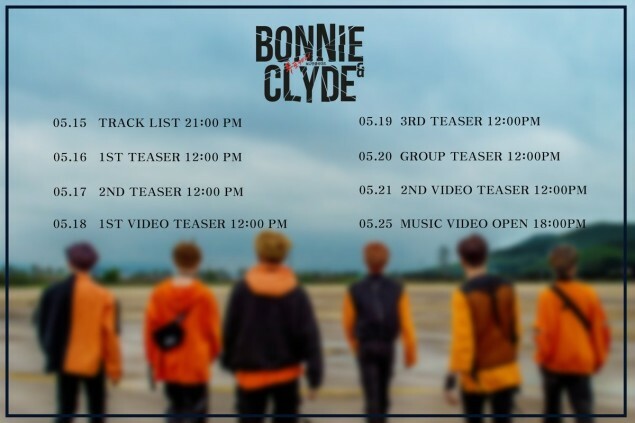 Teasing for the group's upcoming comeback with "Bonnie N Clyde" begins on May 15 at 9PM KST with a tracklist, followed by various teasers such as video, photo, and more. For their long-awaited domestic comeback, 24K will promote as 6 members with: Cory Jinhong, Junguk, Changsun, Hongseob and a brand new member, Kiyong. Their fellw member Kisoo is currently serving in the military for his mandatory service.